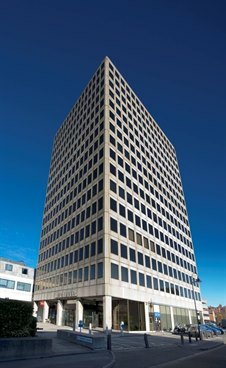 Cattaneo Commercial has secured a letting of a 1,457 sq ft office suite on the 4th floor of CI Tower, this prestige office building immediately adjacent to New Malden mainline railway station. Further refurbished suites are available from 1,025 sq ft up to floor of 5,370 sq ft. Please contact Andrew Armiger on 020 8546 2166 for further information. New Malden offers good communication links through its mainline railway station, which provides excellent access to London Waterloo. It is also within easy reach of the A3 Kingston by-pass which offers a direct link by road to Central London, the main motorway networks and Heathrow and Gatwick.